The weather is increasingly going to extremes. It’s either the hottest it has ever been or the coldest. There’s either a devastating drought or sudden flooding. Farmers are having to move because they can no longer grow crops on their lands and scientists are urgently asking for the decrease of greenhouse gas emissions. To the inexperienced, it might seem like this is a case of sudden climate change. However, there is evidence of people warning that this would happen almost a hundred years ago. Recently world leaders came to together to decide the fate of the planet. They used fancy terminology, and made big promises, but in the end it just ended up being more of the same: no compromise, no legal action, no heartfelt reason to change. The politicians simply didn’t step up. 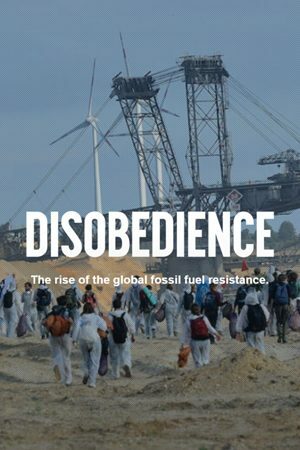 A movement called Break Free started taking action across six continents, targeting major fossil fuel projects with the message that oil, gas, and coal need to be kept in the ground. All over the world, people are coming together with urgency. They are unwilling to sit by passively and wait for the politicians to make up their minds while the planet is being destroyed. People are taking matters into their own hands and doing what needs to be done. There was a time when in the Philippines, for instance, it was illegal to distribute flyers exposing the situation with fossil fuels. But things remain the way they are because citizens allow it. The moment people started to stand up and stop allowing the planet to be destroyed, they removed their consent. Evil thrives when good people do nothing and change happens rapidly when people take action. Throughout history it’s clear that most changes in society come from ordinary people who are joined by a common purpose and who are passionate for their objectives. They share the same vision and are willing to sacrifice for the accomplishment of their goals. In Canada, for instance, many First Nation people are dying and suffering from strange diseases and conditions because 85% of their diet comes from the river and those rivers are being heavily polluted by tar sands spills. The quality of water is getting progressively worse. The government has tried to solve the problem by throwing money at them, but these people are ready and willing to fight for what is rightfully theirs. Civil disobedience is a powerful tool when it comes to social justice. Movements are formed when people decide to take the law into their own hands. However, civil disobedience is but one tool in the activists tool box. And even though people all over the world are taking action, more needs to be done. Who will do it? What future do you want to see? That is the theme of Connected, a film that aims to make us question the way our society functions on a global level. In much the same way as an operator’s manual gives you important information regarding your car or refrigerator, Earth Science can do the same for the planet. In just a relatively short period of time, humans have managed to disrupt the balance that is essential to life. Earth is the perfect distance from the sun, so its atmosphere allows it to conserve water in liquid form. Four Tragedies. Four Journeys. One Purpose. It was Dr. Martin Luther King, Jr. who aptly said ‘in the end we will remember, not the words of our enemies, but the silence of our friends.’ This documentary film tells the stories of real people who survived genocide in their own countries. The story of how modern man is slowly exhausting the planet is not a new one. Deserts are advancing, water is becoming scarce, and every twelve years the Earth’s population increases by 1 billion people.